Barack Obama and Canadian Prime Minister Stephen Harper quietly have taken a major step toward erasing the border between the two nations with a new “Beyond the Border” bilateral declaration. 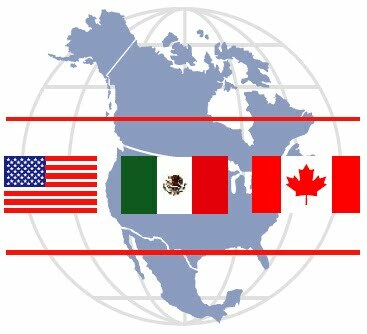 The declaration signed by the two heads of state and titled “Beyond the Border: A Shared Vision for Perimeter Security and Economic Competitiveness,” was described as “For Immediate Release” on the websites of the White House and the Canadian chief executive. A major, prolonged warm-up is finally on the way for the eastern two-thirds of the nation next week. After a record-shattering, frigid morning with lows well below zero in Oklahoma, Arkansas, Missouri and Kansas Thursday, temperatures could jump nearly 100 degrees in some areas by late next week. 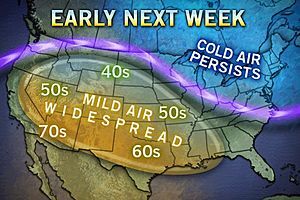 A change in the overall weather pattern will allow milder air to spread through this region, as well as the rest of the Plains, Midwest and parts of the East, over the next few days. A more substantial warm-up will follow next week. In the areas of Oklahoma, Kansas and Arkansas where temperatures dropped between 20° and 30° below zero F Thursday morning, highs in the 60s are in the forecast for late next week. 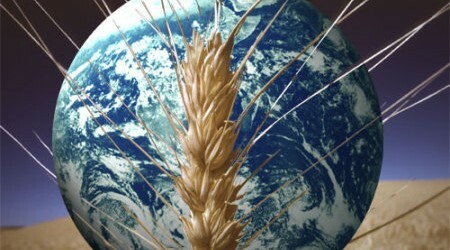 That’s when food production is inflated through the unsustainable use of water and land. It’s the water bubble we need to worry about now. The World Bank says that 15 per cent of Indians (175 million people) are fed by grain produced through over-pumping – when water is pumped out of aquifers faster than they can be replenished. In China, the figure could be 130 million. A warmer Antarctica makes a hospitable home for these crabs, endangering an entire ecosystem that has no defenses against them. Shell-crushing king crab are expanding their kingdoms into the Antarctic peninsula. Creatures living there for tens of millions of years have no defenses against these crustaceans. Warmer waters are facilitating the crabs’ advancement. A crab, Paralomis birsteini, lies on the seafloor some 1,200 meters (3,937 feet) below the surface. McMURDO STATION, Antarctica — Warming waters along the Antarctic peninsula have opened the door to shell-crushing king crabs that threaten a unique ecosystem on the seafloor, according to new research by a U.S.-Sweden team of marine researchers. On a two-month voyage of the Swedish icebreaker Oden and U.S. research vessel Nathaniel B. Palmer, marine biologists collected digital images of hundreds of crabs moving closer to the shallow coastal waters that have been protected from predators with pincers for more than 40 million years. They are the same kind of deep-water crabs with big red claws that you might find at the seafood counter. “Along the western Antarctica peninsula we have found large populations over like 30 miles of transects. It was quite impressive,” said Sven Thatje, an evolutionary biologist at the University of Southampton in England and chief scientist on the cruise. Perhaps “accident” may not be the precise word to describe what I see coming in silver. After all, Webster’s defines accident as “an unforeseen and unplanned event or circumstance.” While that definition certainly encompasses what I see ahead in the silver market, I need to add a qualifying adjective to complete my vision. That word is unavoidable. 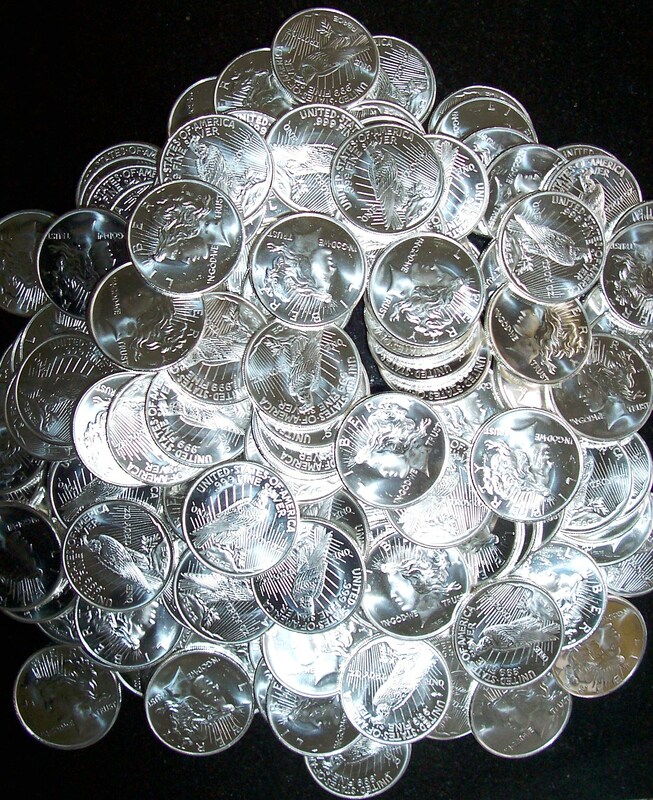 The silver market is headed towards an unavoidable accident. This will not be like any accident you have ever witnessed or experienced. This is an accident you can fully prepare for, and greatly profit from. This coming silver accident could favorable and permanently alter your family’s standard of living and financial security. The great news is that preparations for this accident are simple and merely depend upon you applying common sense. At the core of what makes the coming silver accident unavoidable is the immutable law of supply and demand. Supply and demand ultimately governs how all markets function. While some markets, including silver, can be artificially controlled or manipulated in price for long periods of time, eventually such manipulations must end if they are at odds with supply and demand.